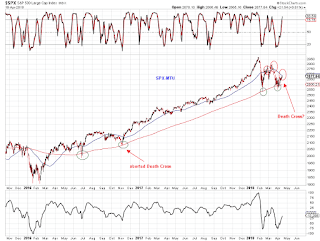 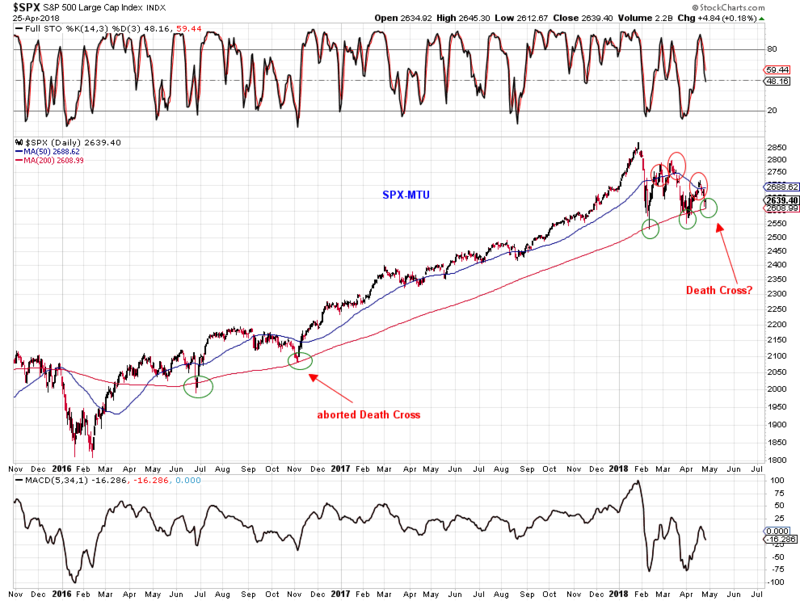 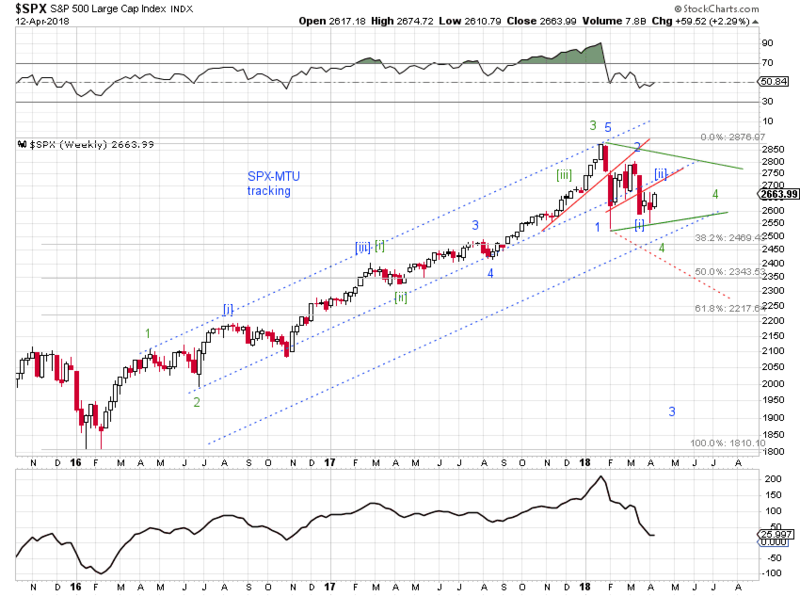 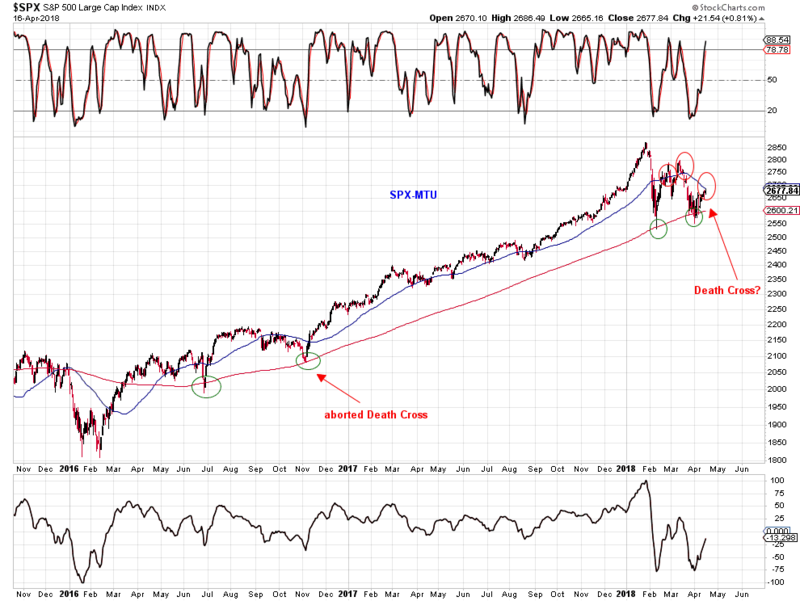 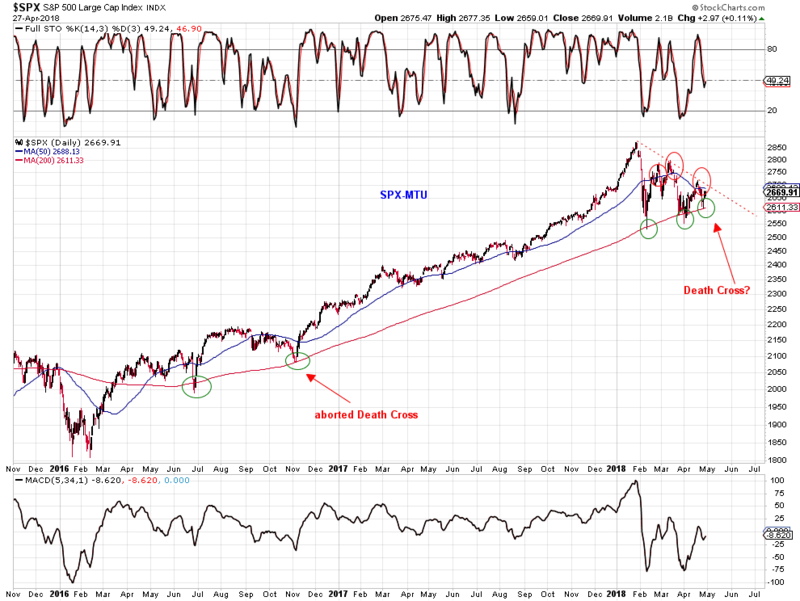 SPX closed below its MA50, keeping the death cross watch alive (Chart 1), and making an interesting weekly candle (Chart 2). 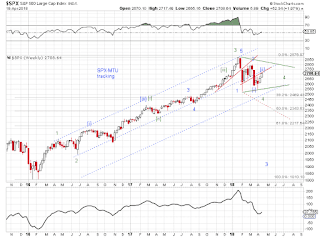 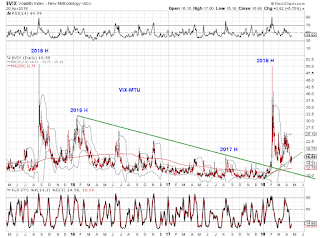 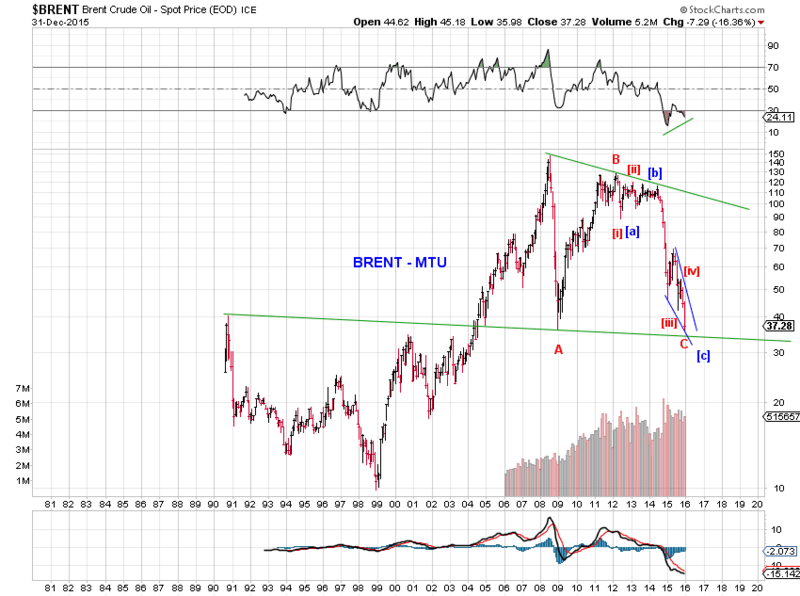 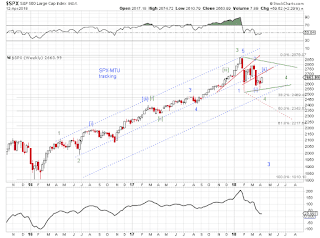 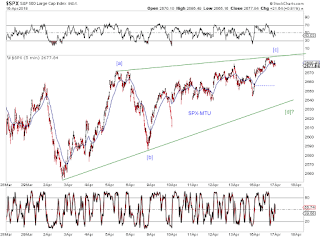 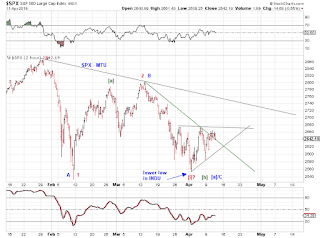 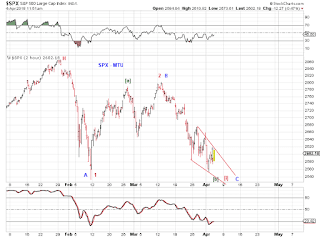 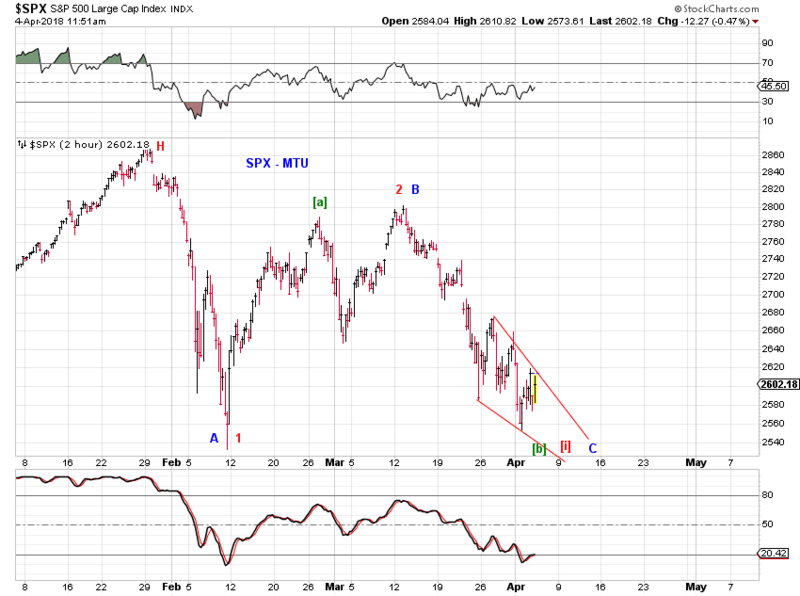 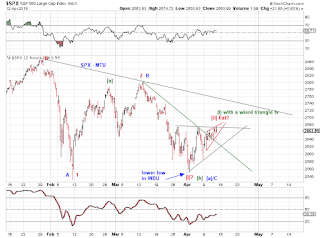 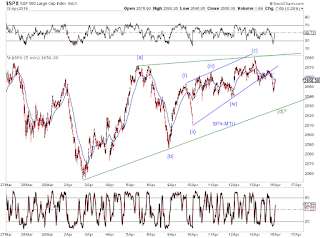 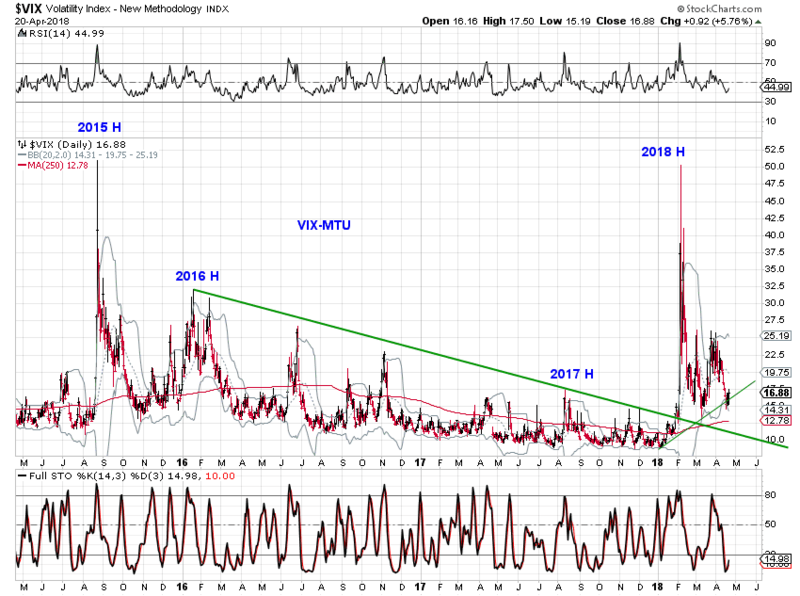 While SPX is probing short term support (Chart 3) so is VIX (Chart 4). 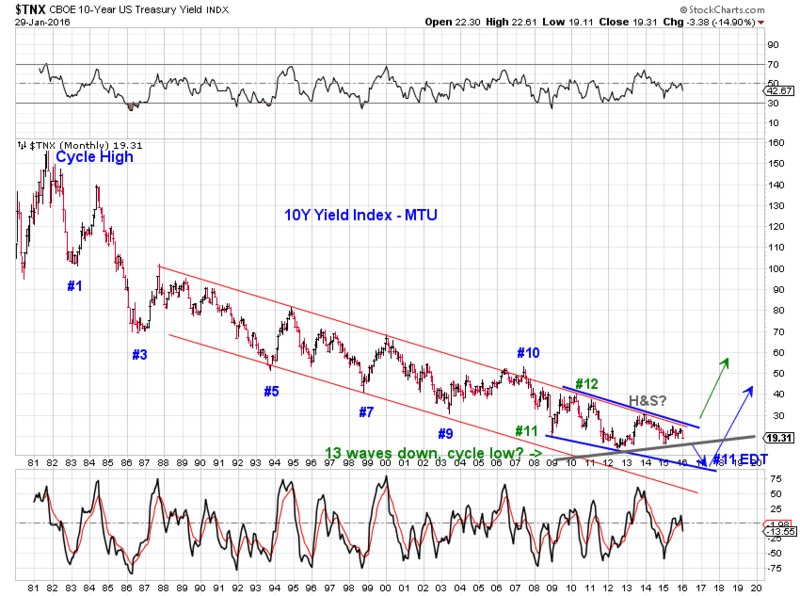 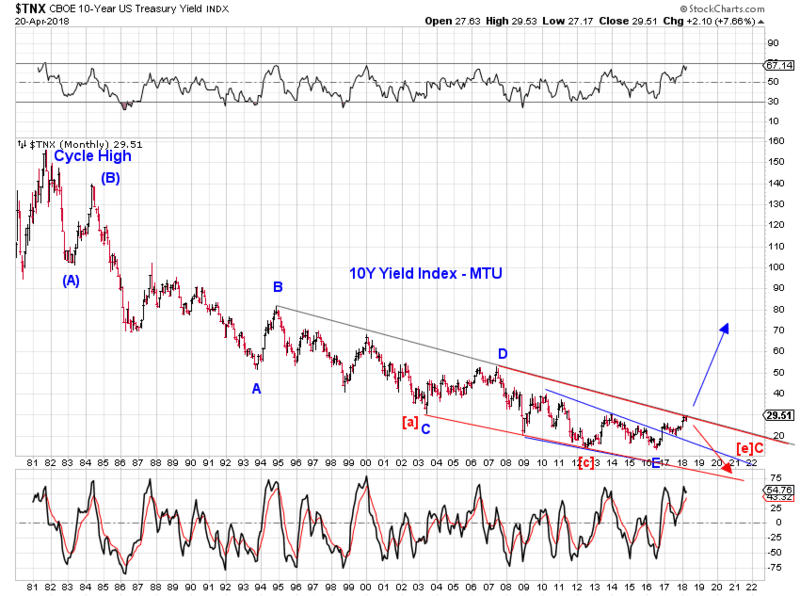 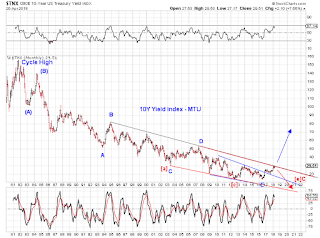 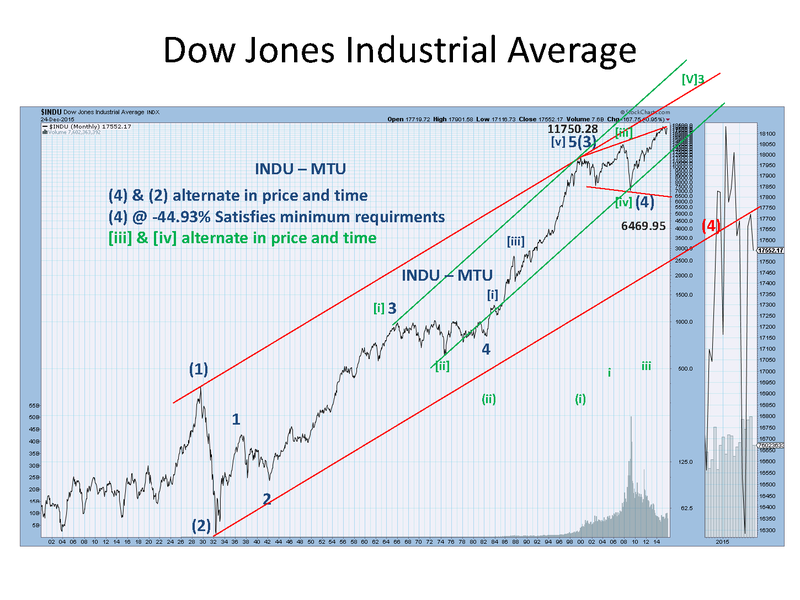 Meanwhile, interest rates are probing resistance and threaten to breakout. Interesting weeks ahead. 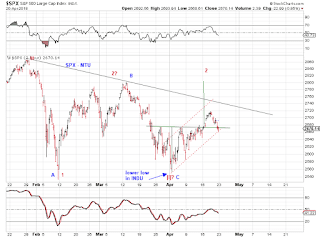 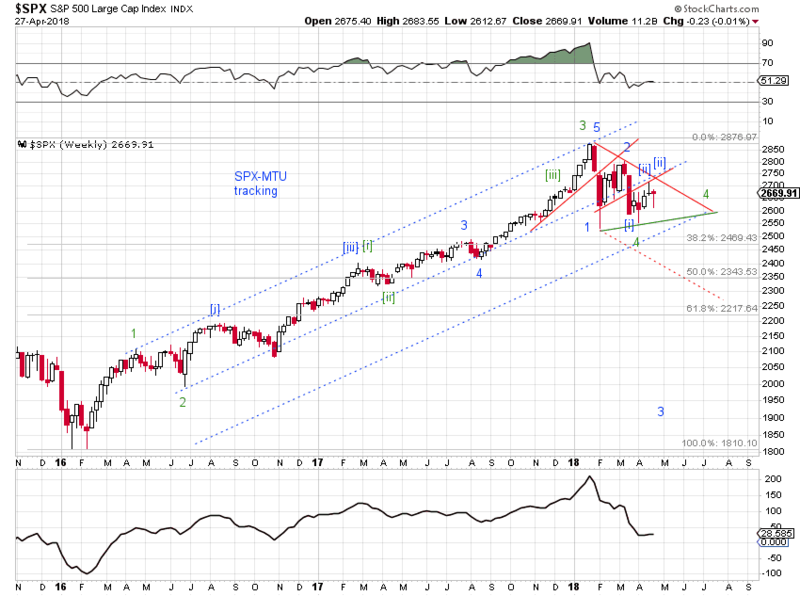 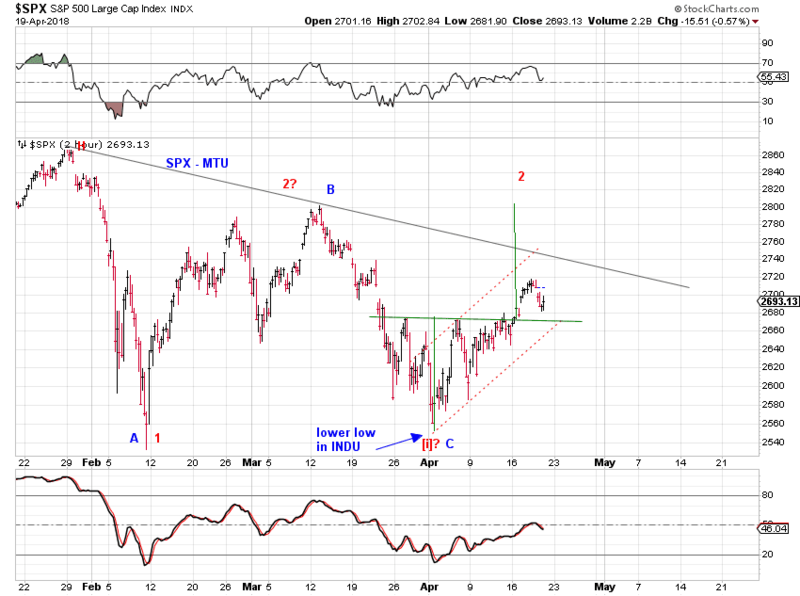 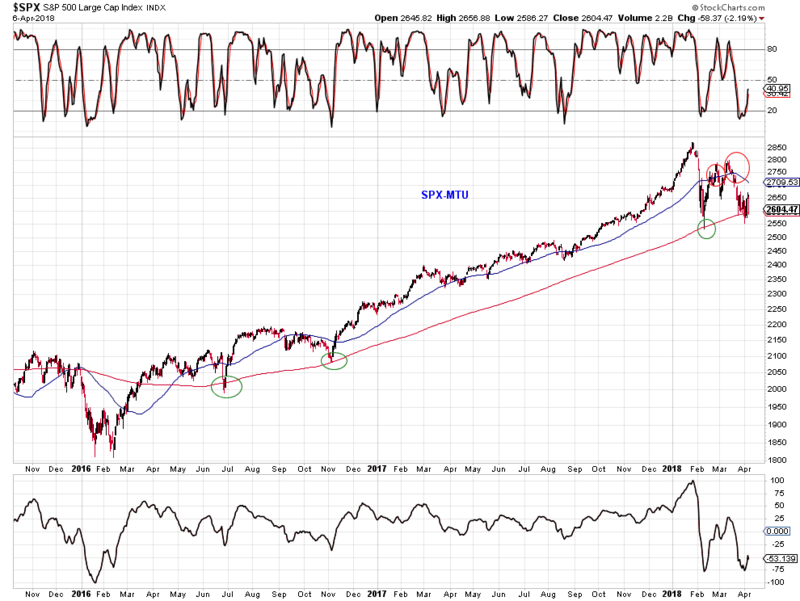 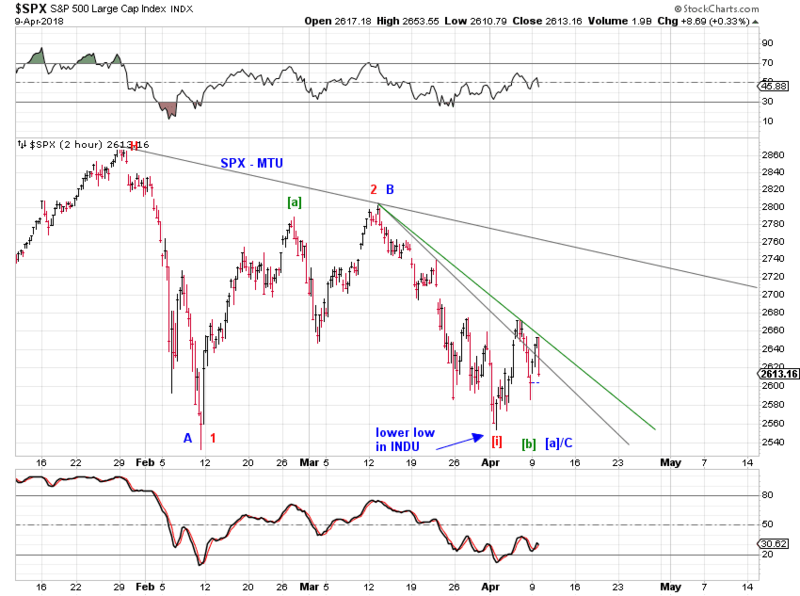 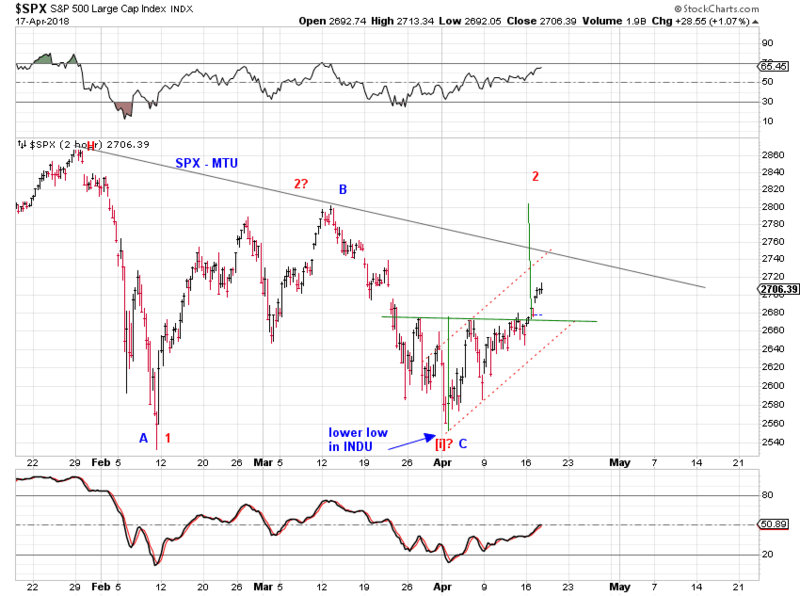 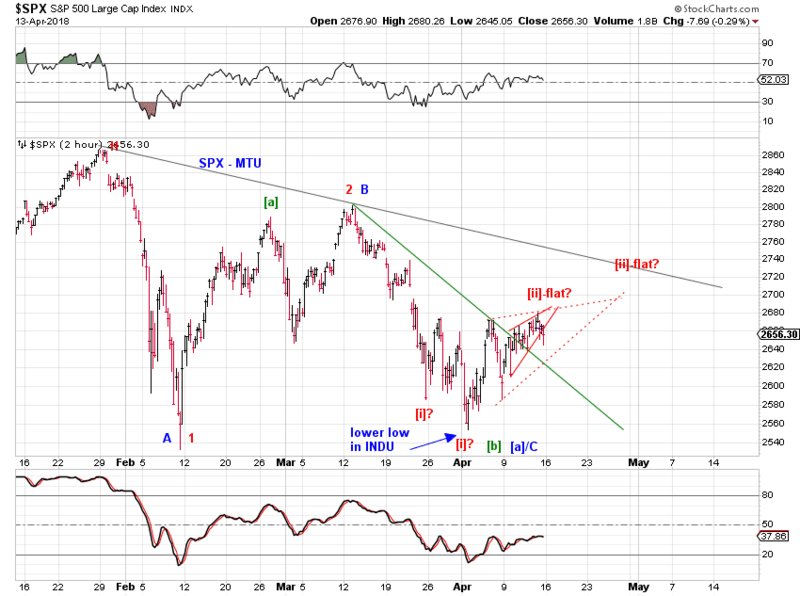 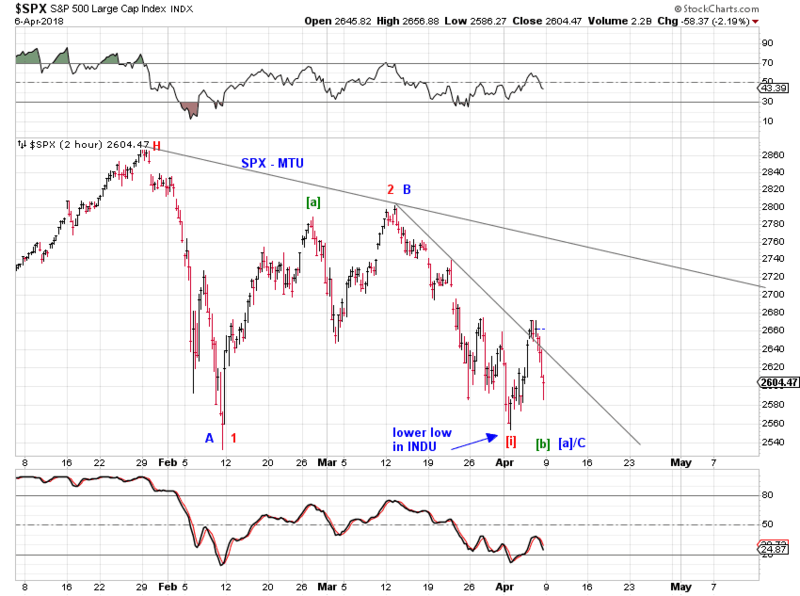 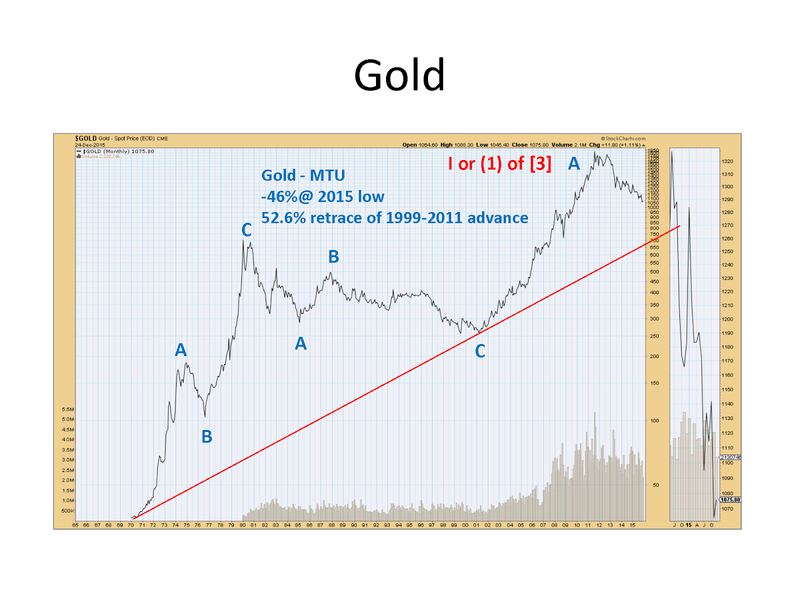 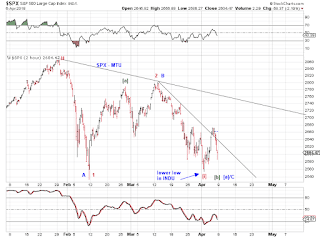 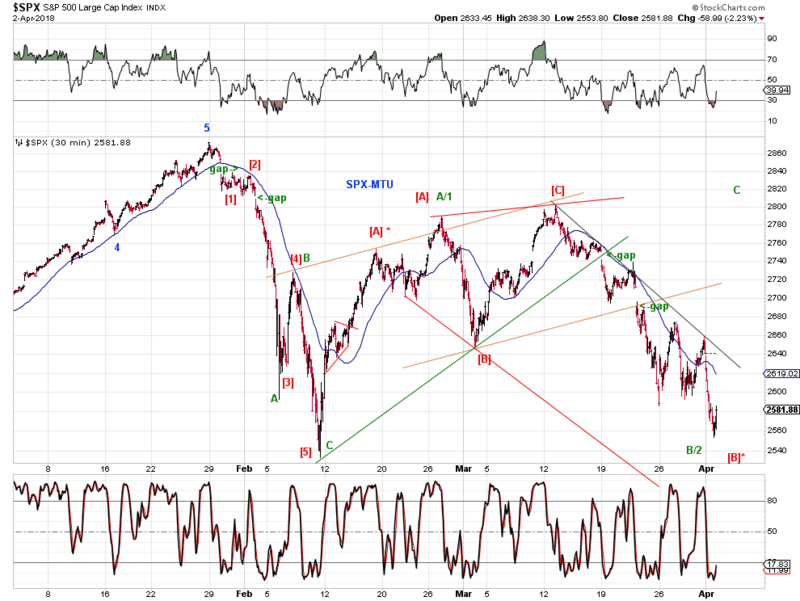 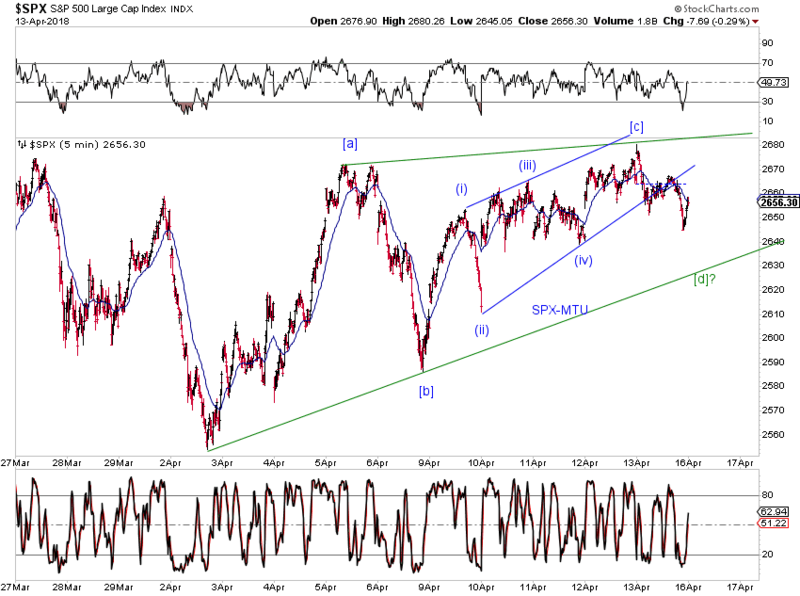 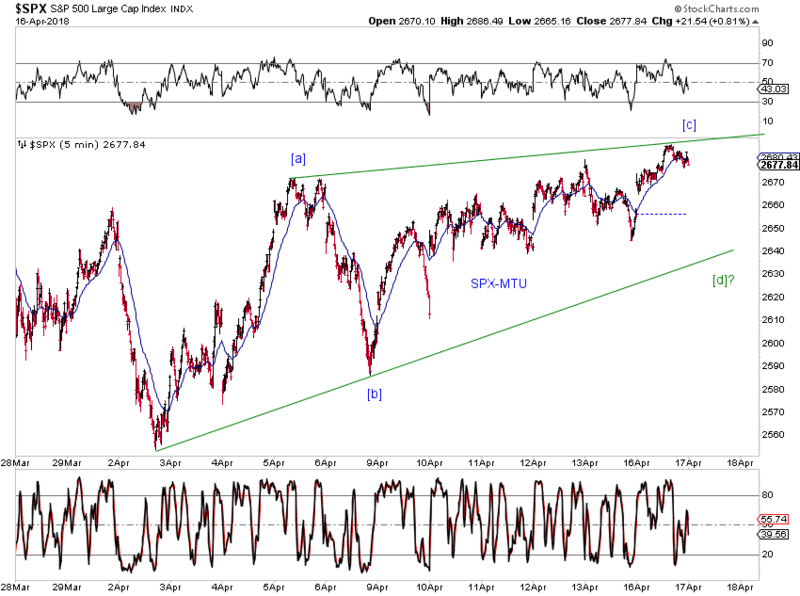 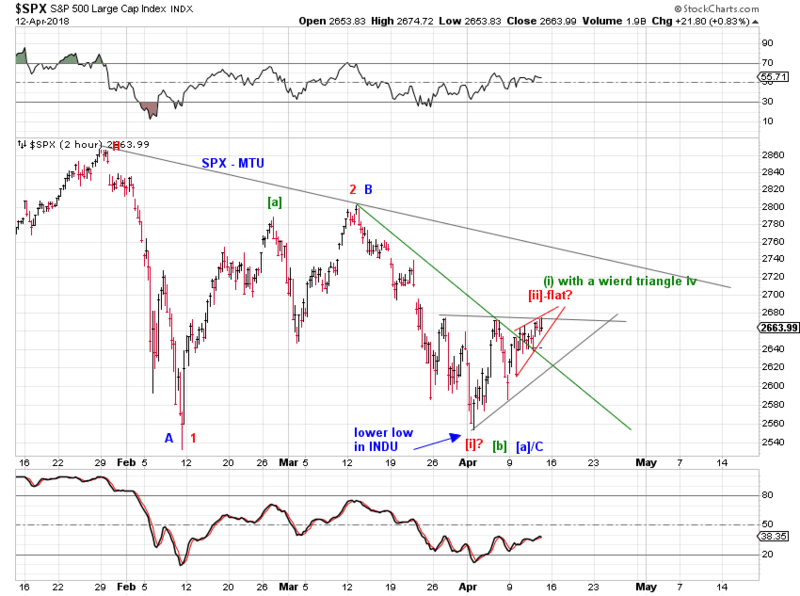 SPX is probing the "neck" line. 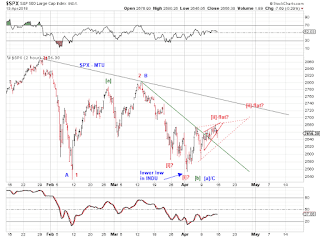 SPX reacted at the swing high, 2570 is at the other end of the swing if SPX follows its recent tendency. 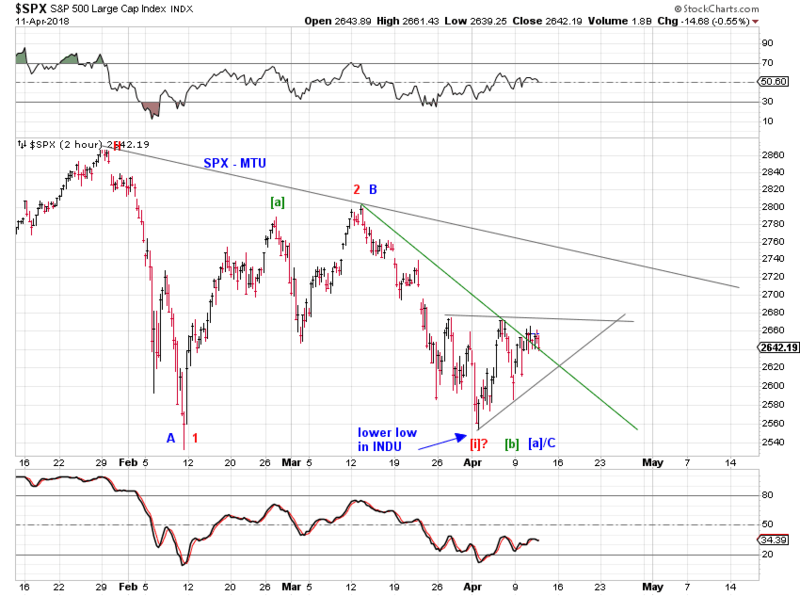 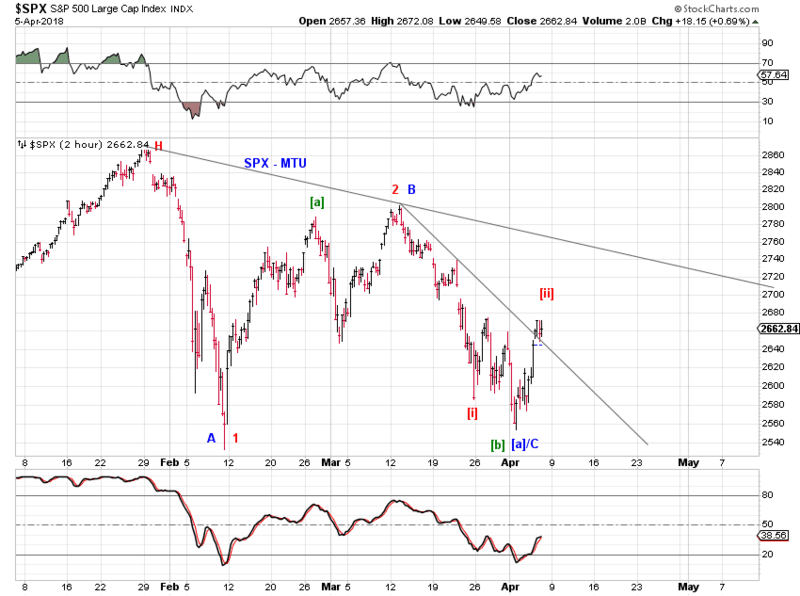 SPX is probing MA50 resistance. 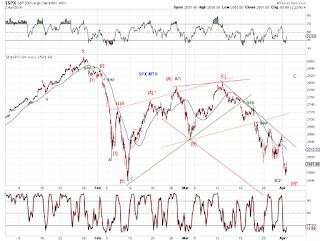 The MAs are tightening around SPX (Chart 2). 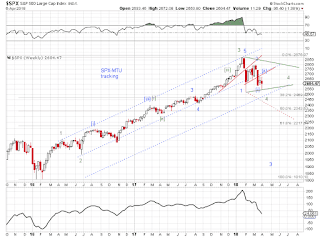 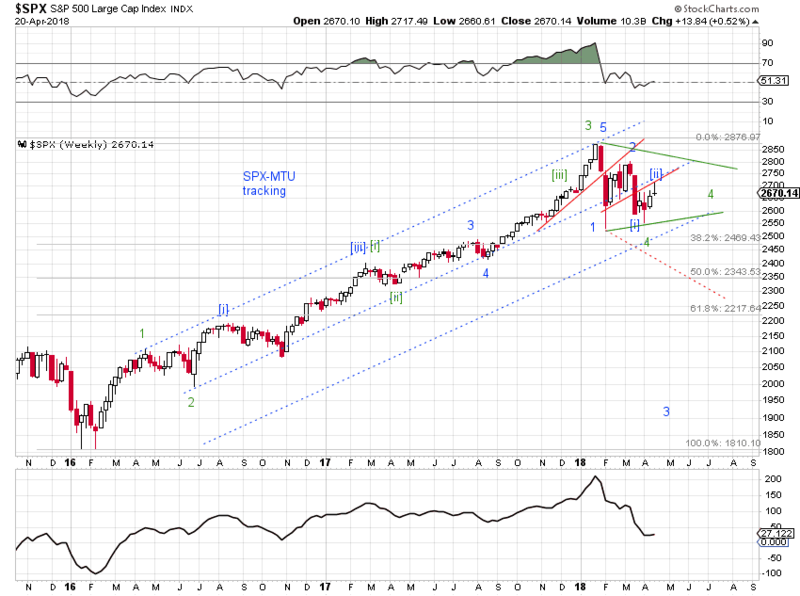 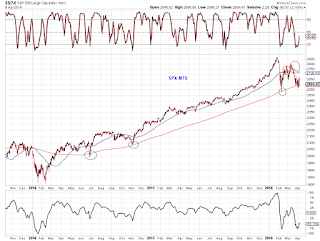 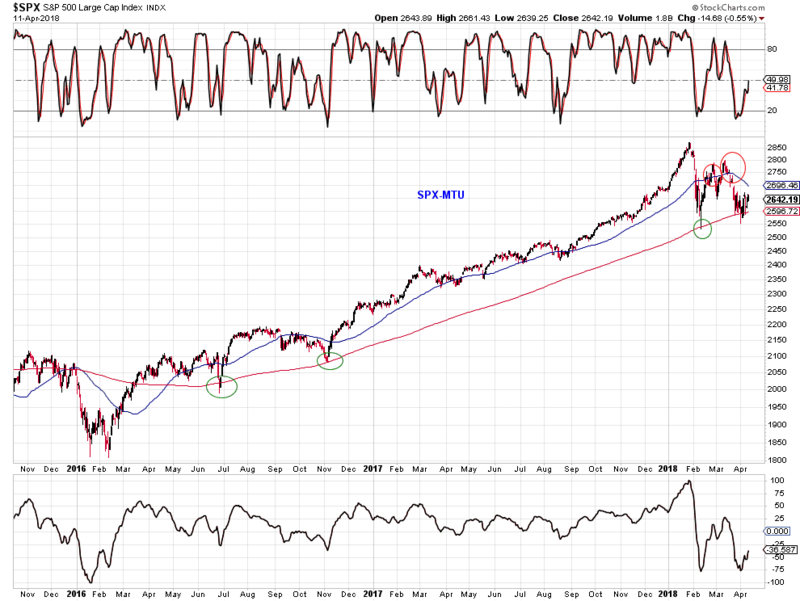 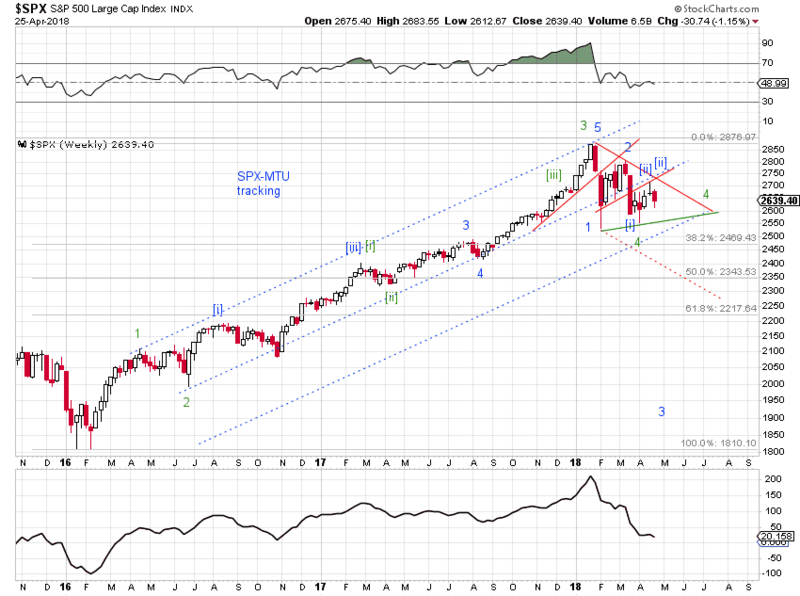 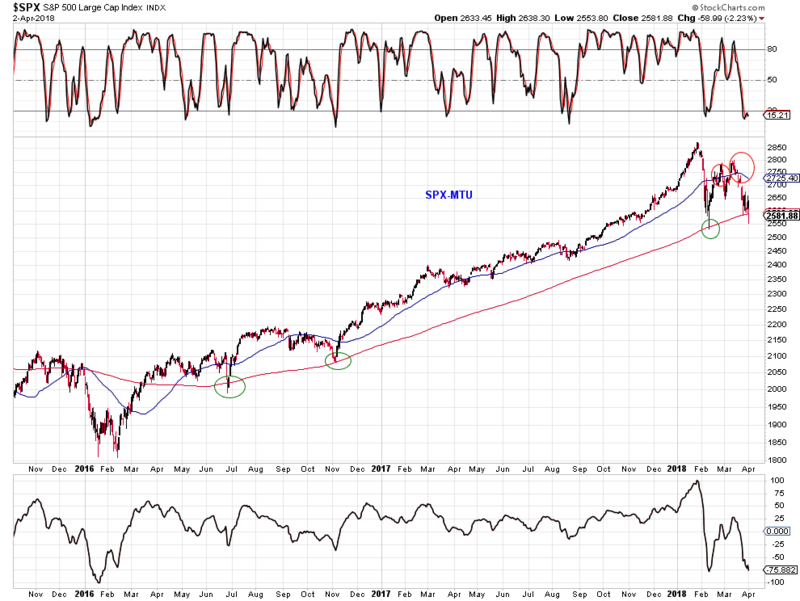 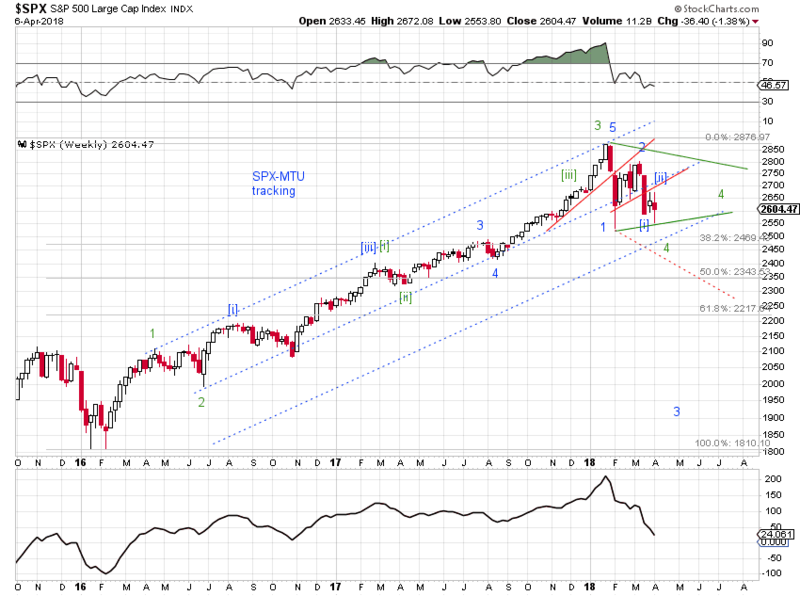 SPX continue to struggle with its MA200.